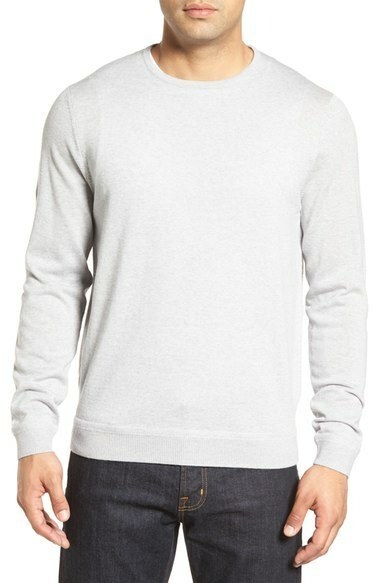 Team a John W Nordstrom Wool Crewneck Sweater with grey dress pants for incredibly stylish attire. A white crew-neck sweater and black jeans are the kind of a tested casual ensemble that you so awfully need when you have no extra time. 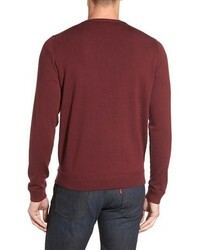 Consider pairing a John W Nordstrom Wool Crewneck Sweater from Nordstrom with black wool dress pants like a true gent. 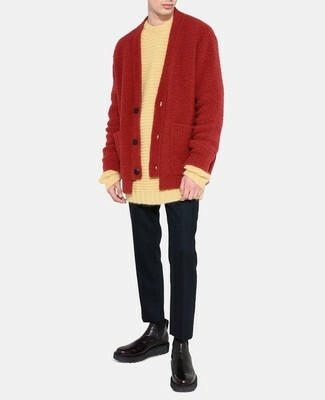 When it comes to shoes, this getup pairs nicely with black leather chelsea boots. 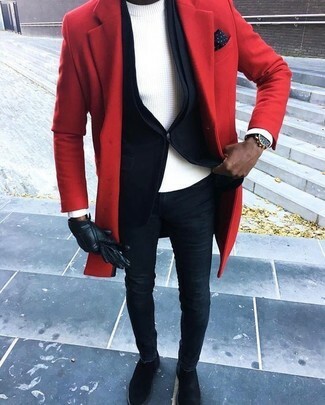 You'll be surprised at how super easy it is for any gentleman to get dressed like this. Just a white crew-neck sweater and tobacco corduroy jeans. Beige canvas low top sneakers will pull your whole ensemble together. 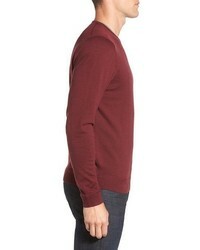 If you're looking for a casual yet seriously stylish outfit, rock a John W Nordstrom Wool Crewneck Sweater with black chinos. Both items are very comfy and they also look great when worn together. Amp up the cool of your ensemble by rounding it off with brown leather casual boots. 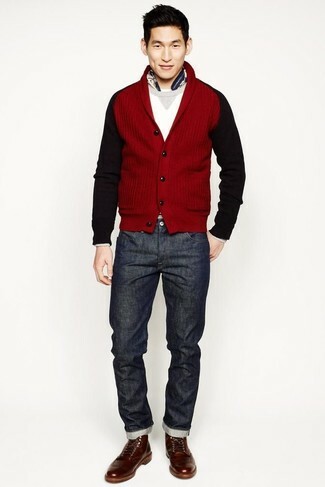 If you're searching for a casual yet sharp look, consider wearing a white crew-neck sweater and charcoal jeans. As well as totally comfy, both of these items look fabulous paired together. To add elegance to your look, finish off with brown leather casual boots. 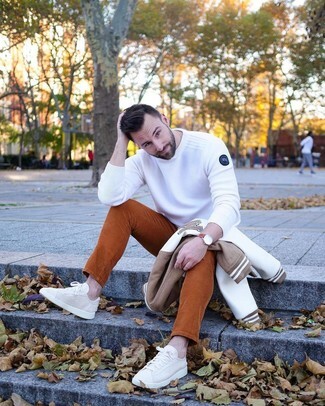 If you're hunting for a casual yet seriously stylish outfit, consider teaming a John W Nordstrom Wool Crewneck Sweater from Nordstrom with khaki chinos. As well as totally comfortable, both of these garments look amazing paired together. 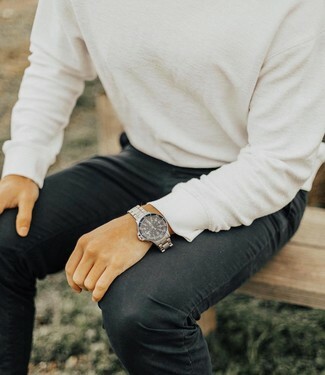 If you're on the lookout for a casual yet stylish ensemble, go for a John W Nordstrom Wool Crewneck Sweater from Nordstrom and navy skinny jeans. 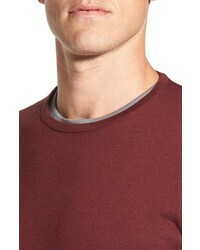 These garments are super comfortable and look great paired together. And if you want to instantly up the style ante of your look with one piece, enter black suede chelsea boots into the equation. 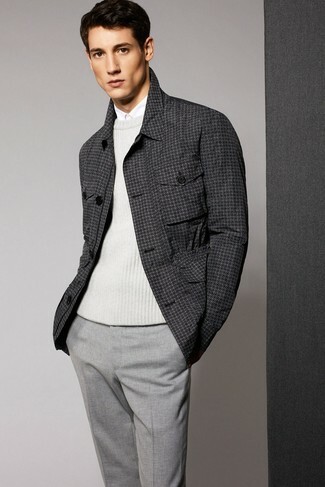 If you're hunting for a casual yet stylish outfit, dress in a white crew-neck sweater and white chinos. Both of these items are super comfortable and look amazing when worn together. For something more on the daring side to finish off this ensemble, make black suede low top sneakers your footwear choice.